It is time for a wedding! 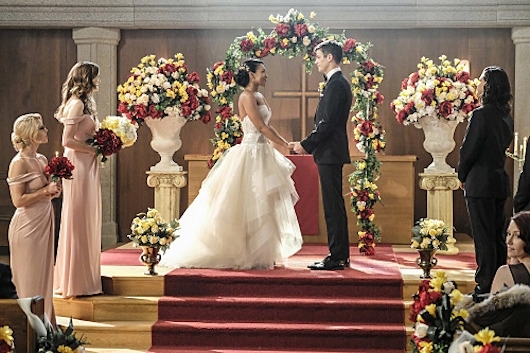 Barry and Iris (Grant Gustin, Candice Patton) are finally getting hitched. As exciting as that is, fans of The CW’s Super Friends are more excited about the most wonderful time of the year – crossover time! Although this is more Flash-themed, the fun began last night on Supergirl. They quickly shed any Supergirl plot, to focus in the reason everyone came together – the West-Allen nuptials.